Winter in Taiwan is not the snowy wonderland you might find elsewhere. In fact, you’ll have to trek up the mountains just to find a bit of frost in the mornings. Having said that though, it does get relatively cold and you may need a scarf or even a pair of gloves if you venture out in the evenings. However, despite the chill in the air, it’s a season packed with events and festivals. Here are some of the best. November – MarchDuring the winter, millions of Euploea butterflies migrate to Taiwan for the colder months and head for the Maolin National Scenic Area. It’s one of only two migratory butterfly gorges in the world, making a trip to this festival a once-in-a-lifetime experience. Locals call the area the Purple Butterfly Valley and it truly is a breathtaking sight to see so many of these amazing butterflies covering the landscape. December 31It’s one of the most famous New Year’s Eve celebrations on the planet and if you’re in Taipei for the new year then it would be a shame to miss it. 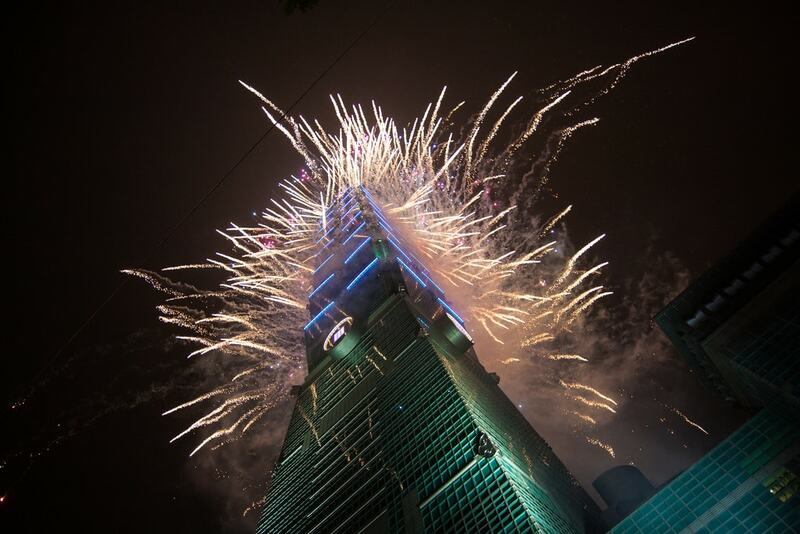 It’s the Taipei 101 fireworks display and although it only lasts a few minutes, it’s an awesome experience.To accommodate the huge numbers of attendees, public transport runs through the night until the early hours of the morning. It’s a good idea to stay in a hotel with a view of the fireworks or book a restaurant that either has a view or is nearby. This way you can enjoy dinner in the warmth and comfort before hitting the streets. November 24 – January 1Although only a small percentage of the population actually celebrate the festive season, locals are still fascinated by Christmas. And to satisfy the citizens’ thirst for all things Christmas (or to at least give people a taste of the commercial side of the holiday) the local government holds a Christmasland event each year in Banqiao.Here they decorate the streets and a central park area right by Banqiao Train Station. Kids and adults can enjoy some scheduled performances and take in all the creative displays or enjoy some festive treats. It’s an incredibly popular event that runs the whole month of December. 15th day of the first month of the Lunar CalendarAnyone who has visited Taiwan will have heard about the sky lanterns of Pingxi and perhaps even set one off into the night sky. But during the festival itself, it’s an incredible sight to see thousands of lanterns taking to the sky. Locals write messages to the Gods and their ancestors on the lanterns and release them into the sky hoping that their wishes and prayers will be answered. If you can handle the crowds then this is a great experience and a good opportunity for some photos. The Taiwan lantern festival is an event organized by the government in order to encourage younger generations to take more interest in their cultural heritage. It takes place in a different city each year and runs for about a week prior to the the actual lantern festival itself. Here you’ll find a huge range of floats created by local businesses, charities, and groups, some of which are pretty creative. 15th day of the first month of the Lunar CalendarRanked as the third largest folk celebration in the world, this festival is incredibly popular but also ever so slightly dangerous. In fact, only the bravest souls take part in what can only be described as fireworks madness. Several beehive-like structures are packed with fireworks and locals actually walk between them as the fireworks are set off. It’s a religious celebration to thank a local God who protected the area during a plague. This baptism of fireworks is certainly a celebration that those faint of heart might want to avoid. And so we come to the most important festival of them all, Lunar New Year or as many call it, Chinese New Year. It’s the most anticipated holiday in the region and a time when the entire island takes time to celebrate the new year with their family. Although there are some events that take place during this time, to truly understand the meaning of the holiday, you’ll need to spend it with a local family. The house will be packed with traditional foods (each one significant for a particular reason) and you’ll get to experience some local traditions in action.